A few months back, I went to one of the most beautiful islands in the Philippine and in the world, Boracay. During my stay on the former, I found a Café that serves not just delectable dishes but also a haven for Ube or purple yam lovers like me. Ube is a Filipino term for a kind of edible yam that has a purple color. Ube is widely used in the Philippines and considered as one of the staple desserts, ingredients for baking and a favorite flavor of cakes and ice cream. 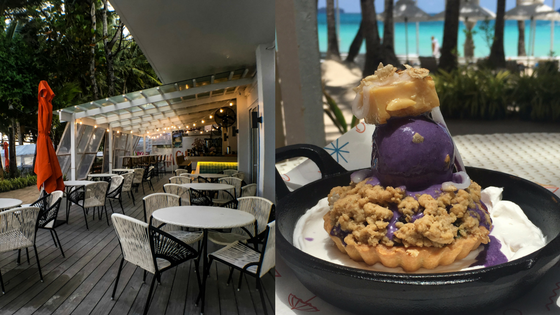 The Café that serves Ube inspired dish on the island of Boracay is known to all as Cha Cha’s Beach Café. Cha Cha's Beach Cafe is located at the Beach Front of Station 2, Boracay Island, Philippines. 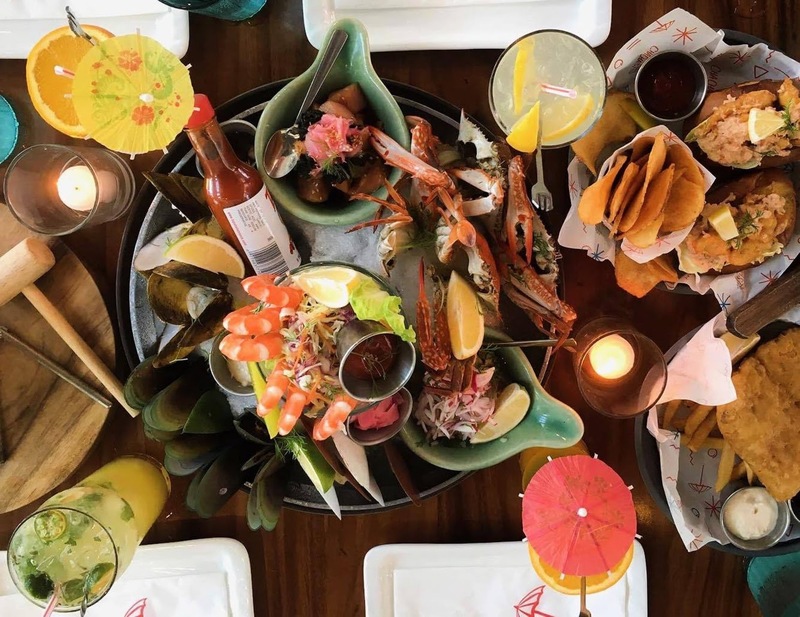 Cha Cha's is the cafe of Coast Boracay that serves a wide array of dishes that can satisfy the palate of their guests that are living from the different sides of the globe. Some of the mouthwatering and finger licking dishes at Cha Cha's Beach Cafe. 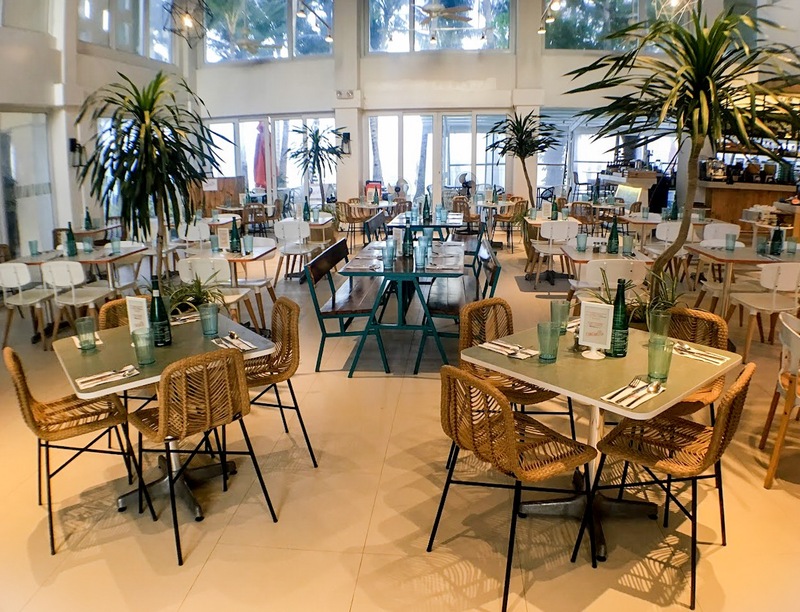 Cha Cha’s Beach Café has a Latin-inspired vibe that perfectly matches the tropical island. 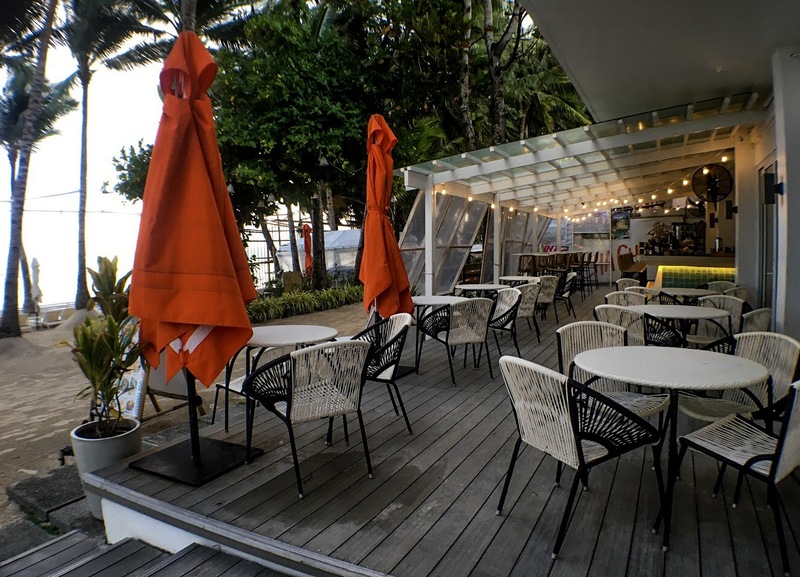 The Café has both earthy and vibrant colors with indoor palm plants, woven chairs, wooden tables and bench that creates a perfect relaxing dining spot by the beach. The tropical vibe inside Cha Cha's Beach Cafe. Filipino made woven chairs and tables outside the Cafe. Ube lovers can start their day with a breakfast at Cha Cha’s Beach Café's Breakfast Buffet. 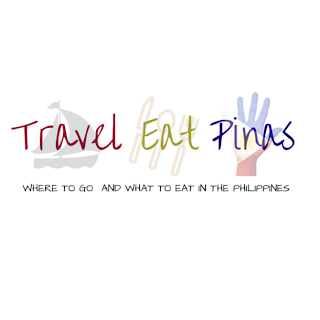 Cha Cha’ Breakfast Buffet is composed of a wide variety of breakfast cuisines from Filipino, Western and Asian dishes. Along with the breakfast dishes served at Cha Cha’s Beach Café are the pancakes and waffles with Ube Ganache. 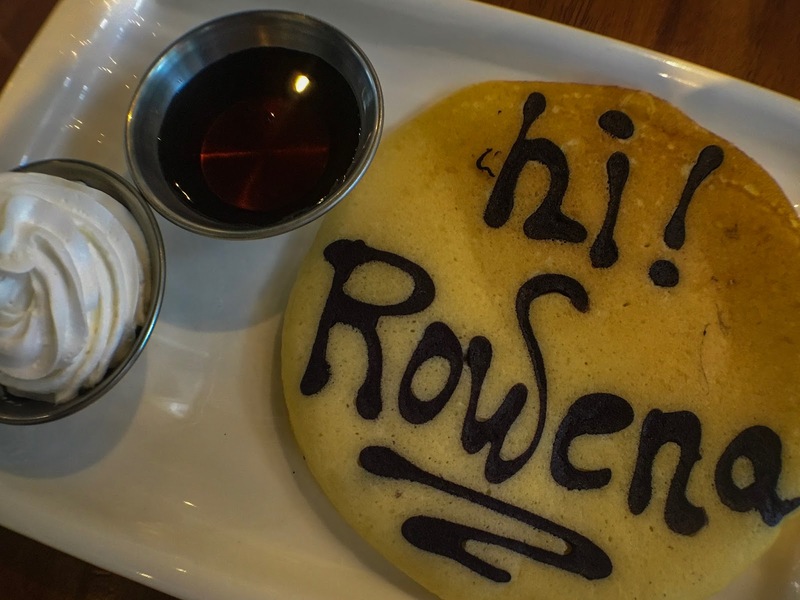 Personalized Good Morning Pancake at Cha Cha's Beach Cafe that you can enjoy with Cha Cha's Ube Ganache. The Ube ganache matches and adds a distinct flavor to the fluffy pancakes of Cha Cha’s. It is not that sweet and it gives a new take on the usual pancakes with either chocolate or maple syrup. Aside from the pancake with Ube ganache are my favorite Filipino breakfast duo of Cha Cha’s Beach Café, the Ube Champorado and Ube Taho. 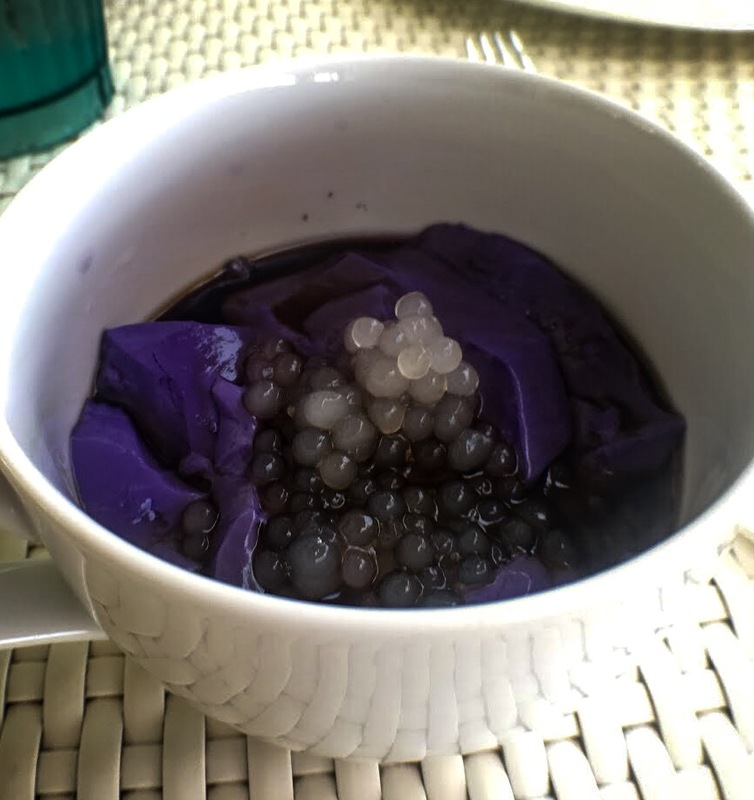 Like the Ube ganache, Ube turned the usual Taho and Champorado to an interesting, unique and delectable dish. Cha Cha's Beach Cafe innovated the usual taho that we grew up with. Instead of using the usual white fresh soft tofu, Cha Cha's mixed the former with Ube that turned the white tofu to purple and with additional flavor. They also use the same technique in the Ube Champorado. Instead of mixing tablea or cacao chocolate to the rice to create the Champorado that we know, Cha Cha's Beach Cafe added purple yam to the rice. At first, I was hesitant to try their Champorado. The earthy flavors of Ube might not blend well with the usual Champorado ingredients, but, lo and behold! Cha Cha's Ube Champorado is way better than all the Champorado that I tasted. Surprisingly, the distinct flavors of Ube blended well with the usual toppings of Champorado which are milk and tuyo or dried fish. 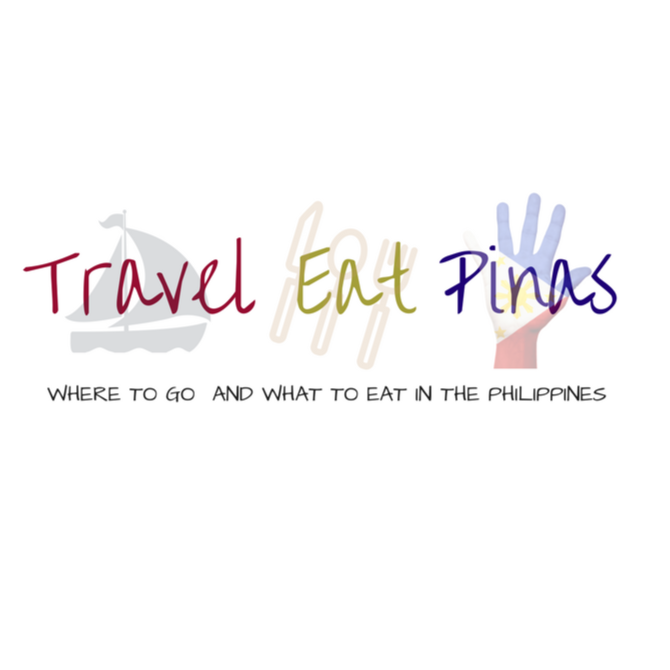 It is also not that sweet compared with the Champorado that uses tablea as its main ingredient. Ube Champorado of Cha Cha's Beach Cafe. 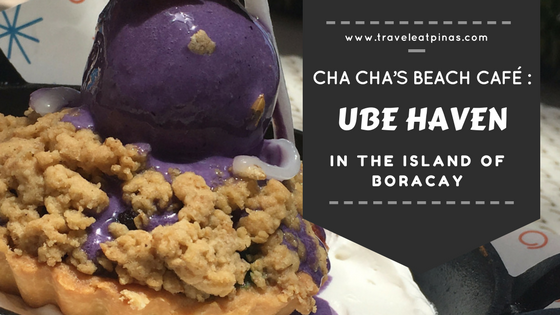 Another Ube inspired Must Try at Cha Cha’s Beach Café is their Halo-Halo. Cha Cha’s Halo Halo is not the typical one that is served on the restaurants in Boracay or even in the Philippines. Cha Cha’s Halo Halo’s is served on a skillet with cream as its base, a pie with halo-halo ingredients filling and topped with Ube Ice Cream and a generous chunk of Leche Flan. Eating Cha Cha's Halo-Halo is a unique gastronomical experience on my end. The pie provided a whole new texture to the Halo-Halo while the whipped cream and leche flan added addition creaminess to the Halo-Halo fillings inside the pie. On the other hand, the Ube flavored Ice Cream gave this dessert a refreshing and earthy flavor that compliments the former very well. Cha Cha’s Beach Café can satisfy one’s craving for Ube flavored and inspired Filipino breakfast cuisines and snacks but also provide unique and innovative dishes to the palate of locals and foreigners alike.